-C.S. Lewis, "On Three Ways of Writing for Children"
**Before I begin, I would like to make this tidbit explicit: although I use quotes from Mr. Lewis's essays to illustrate my points, I am in no way endorsing or denouncing his books. I do not want anyone to decide that the writer whose words I have chosen to guide my discussion is somehow central to my argument. **Note: My definition of children's literature, as it pertains to this post, includes all work with protagonists aged eighteen or younger. Thus I include YA, though I know some people would separate it from that category. It is inevitable that in 2013, some article will reignite the age-old controversy over the role of young adult literature. Although articles of this nature often infuriate me for a variety of reasons, I have yet to write about my own beliefs, for along with irritation comes exhaustion and the belief that some arguments are too mind-numbing to warrant response. Recently, however, I read select essays from prominent children's writer, C.S. Lewis, that made me reconsider my silence. Among the most recent issues that have been raised in the young adult community is the report which suggests that a majority of YA readers are, in fact, adults. This does not surprise me. 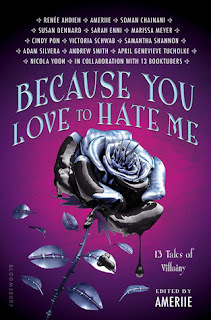 I could write about my own experience as a twenty-one-year-old senior in college, where I have not only seen classmates eagerly flipping through The Hunger Games and Daughter of Smoke and Bone, but have also raved about Kristin Cashore and John Green, Leigh Bardugo and Stephanie Perkins, and Veronica Roth and Richelle Mead. Yet, my life is irrelevant to this discussion except as it pertains to the question of target audience. Is there a target audience for young adult literature? It seems that most articles assume that children comprise the majority of YA readers and therein lies the issue, what fueled the study's focus. One of the most classic sections of children's literature -- the fairy tale -- was, in fact, originally intended for adults, but has now become accepted in mainstream culture as "meant" for children. Zohar Shavit, in her essay, "The Concept of Childhood and Children's Folktales: Test Case--'Little Red Riding Hood,'" traces the historical roots of fairy tales and argues that as the boundaries between the definitions of "adult" and "child" grew, so did the span in cultures for each age group. This led to the creation of children's literature, which fit our newly conceptualized version of childhood. Thus rose the concern over the messages sent to children. We are no longer in an age when children must work in factories before age fourteen, so we no longer assume that children are exposed to "indecent" images. (Or at least, this is true of my experience in the "western" world. I do not claim to have any knowledge beyond the environment to which I have been exposed.) While separating the world of children from that of the adult has allowed for the preservation of innocence in some cases, it has not, however, changed the fact that adults read and still read children's literature. To speak, therefore, of the "target audience" seems redundant, for it is a thing of the past. Culture is constantly changing. If we refuse to change along with it, we risk losing ourselves. Well, if children are not the target audience; if the target audience is indeed everyone, what is the primary focus of children's literature? Certainly, even if young adult refers to the age of the protagonist, not to the age of the reader, there is no denying that novels in this category are marketed toward a younger crowd. Just as there is no denying that this raises, in some minds, the issue of "what children need" in their books. Should they be exposed to "dark" fiction? Is young adult only getting darker? Is it... too dark? As Lewis writes, we cannot control what phobias we develop for they are just that: irrational, unpredictable. To conceal the rest as an attempt to hide the darkness? Well, this is why I am not worried about the concerns Kirkus editor Vicky Smith discussed regarding the rise in adult reading rate of young adult novels. When we begin to concern ourselves with the fact that "teens are not the primary audience for their own books," that young adult literature may not be "created to meet their needs," we risk falling to the same trap that Lewis has outlined in "On Three Ways of Writing for Children." It is not for adults to write stories based on children's needs. To write what children "need" as a means of avoiding these dark truths is to patronize them on the worst of levels. As for the rest of us, perhaps we should descend from the "adult" platform. Yes, it is likely that these novels establish patterns for gender, race, ethnicity, etc. etc. that later influence the way children view such subjects. Does that make us obligated to establish one pattern for them? If there is no dark, how are to understand the light? Are we really assuming that even in adulthood, there are not life lessons for us to learn? Can we not retrieve messages from these books? Why must we view them as "what children need" and not as "life lessons?" How is this any different from what we as adults ask ourselves? Will we denounce our lives as dark, too? Shall none of us read because we cannot handle these truths? Do we need to be censored? The target audience of children's literature is everyone, so children and adults need to be treated equally within that realm. Denouncing darkness while speaking of children's needs will not lead to any fruitful paths. We only go in circles. There is no reason that a well-written book should appeal to only one subset of people; why that book's message should only work for one crowd. It is more than just treating adult as a term of approval, though. It is defending the legitimacy of children's literature, something which Clifton Fadiman does well in his essay, "The Case for a Children's Literature." And yet it's been long enough, I say, without kid lit receiving its due in portrayals of culture. As for me, I am reaching that state of exhaustion which the criticisms of children's literature inevitably bring. How do you like that definition? There is nothing fundamentally different about children's literature beside the age of the protagonist. And there is, most certainly, nothing wrong with enjoying children's literature even if you're an adult. Rowling, J.K. Harry Potter and the Deathly Hallows. New York: Arthur A. Levine Books, 2009. Townsend, John Rowe. "A Wholly Pragmatic Definition." Signposts to Criticism of Children's Literature, compiled by Robert Bator. Chicago: American Library Association, 1983: 19-20. Townsend, John Rowe. "The Life Journey." Innocence & Experience: Essays & Conversations on Children's Literature, edited by Barbara Harrison and Gregory Maguire. New York: Lothrop, Lee & Shepard Books, 1987: 138-147. **Note: This was not written for my children's literature class. This is solely based on the response I received last week from those who were excited to read about Mr. Lewis' essays. Best post of all time. I find myself having this conversation with many adults, as I am only a teen myself. Heck, I've had it with my librarian even, about if a book should be placed on a children's shelf just because of the content written about inside. I agree 100% with the second half of C.S. Lewis's quote: "...Or they may mean that we must try to keep out of his mind the knowledge that he is born into a world of death, violence, wounds, adventure, heroism and cowardice, good and evil." That quote is entirely true, and we shouldn't be censoring children from the truth of our world. We want them to be experienced and knowledgeable about these topics. The best way is to allow them these books. I have a feeling that I will be using your points the next time this topic is brought up around me. So let me ask you this: do you agree with Mr. Townsend about "children's literature" being children's literature because that's how the publisher decided to sell it? Or is the definition of "children's literature" in the hands of that librarian? Wow! Nicely said. Excellent post. This is the best essay I've ever read on this subject. Thanks. Thank you :). Glad you enjoyed it! Very nice! I've pretty much gone to letting the publisher decide as well. Very rarely do I feel like the book has been mislabeled. The more you try to pin down the age gaps, the less sense the make, which is why New Adult annoys me so much. We can't even figure out exactly what YA fiction is, and now we're going to make another distinction between adult and YA? I don't think so. Thank you so much for writing this post! When you mentioned these essays, this was exactly the kind of argument/discussion I was hoping to read. It is utterly exhausting to fight back against the derision of some toward YA and children's lit. That quote about how "adult" shouldn't be a term of approval really struck a chord with me since that has essentially been my stance all along. There is just as much adult garbage out there as there is YA garbage! And I really resented the idea that I was somehow deficient myself for enjoying these books as an adult. I recently posted on my blog the list from the "1001 Children's Books You Must Read Before You Grow Up" since I found the selections in that particular guidebook more compelling than those in "1001 Books You Must Read Before You Die" -- don't get me wrong, there are great books on both lists, but I think most people would be surprised by some of the novels (particularly classics) in the 8+ and 12+ age categories. They could easily be read and enjoyed by adults as well as children. Good literature is good literature and it is my sincere hope that more people embrace it rather than dismiss it based on the opinions of some who view it as beneath them. I am definitely going to check out your list! Sounds fantastic. I have looked at the 1,001 books list but not the kid lit one :).